I love this event. It is so much fun. 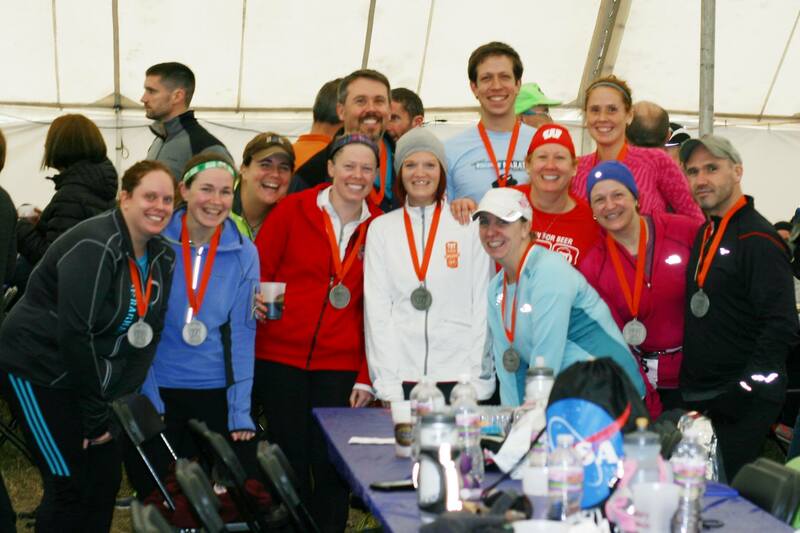 I first ran it in 2011 when I barely knew any of my awesome Wisconsin running friends. It was the first race Sara and I ran together. Who knew how awesome that running relationship would turn out to be. One of my very best friends ran her first half marathon that year. In 2012 I had to switch down to the sixth barrel thanks to a stupid hamstring injury. It was still so much fun. And began the awesome gathering of Wisconsin running friends. This year, it was my half marathon comeback. I ran the Brewers Mini a little over a month earlier and was not trained for a half. This time I was. And I beat my goal. Initially I just wanted to run a sub 2, but then based on the two races I ran the weeks previous to this half. Sara and basically came up with our race plan while running the Discovery run the week before. We drove over to Lake Mills, saved lots of table spots, bought some beer and waited around for friends. I love getting to see so many friends. It’s a blast every time. 13.1 miles goes a lot quicker when you chat with friends the whole time. 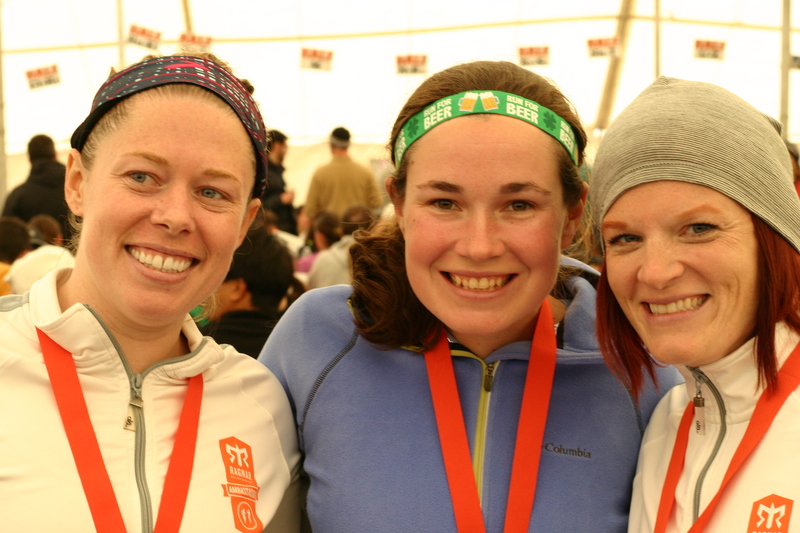 Sara, Mo and I had a great race. It wasn’t too cold once we started running. We caught up, we gossiped, we (I) asked random spectators for the Badger score (what? you can’t be surprised I did this). I am thrilled with how my race went. As I mentioned above my race goals changed as we got closer to race day. I exceeded all my goals and ran a 1:56! That is 10 minutes faster than the Brewers Mini (not that I should have been running a half then). I am back in half marathon shape and I am so ready to train for my spring goals! While we were waiting for everyone to finish we got our beers and enormous pieces of lasagna. I love this post-race spread. So much fun to catch up with everyone. Love my running buddies!